Product sampling is one of the most tried and true methods within experiential, and for good reason. It works. Product sampling campaigns have shown to boost sales for a variety of products. Even better, sampling programs can meet consumers where they shop, such as grocery stores or other retail partners. This enables brands that are on a tight marketing budget to gain the benefit of sampling but at a lower cost than a typical experiential event. Retail sampling programs not only allow consumers to try before they buy, but help facilitate sales right on the spot. This non-intrusive sampling program was exactly the route that Crush soda and Schweppes decided to take, and the companies enlisted the help of Elevate to provide the event staff. 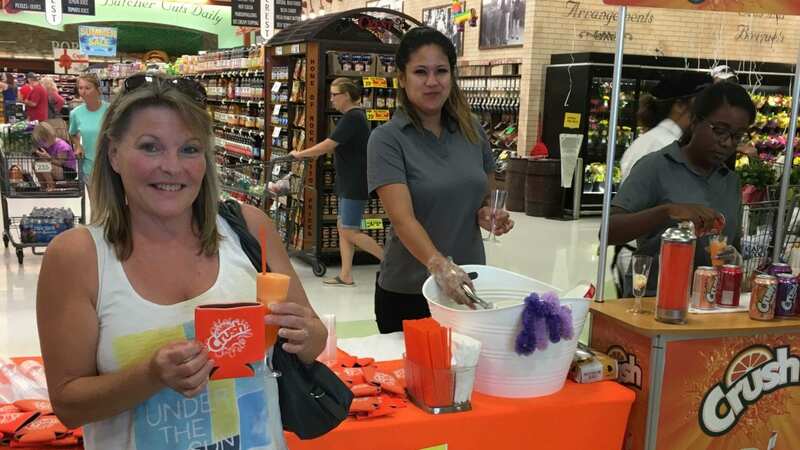 Calling on the best Oklahoma City staff, Elevate recruited and hired 2 brand ambassadors and a team lead to encourage grocery store customers to sample the products and make a purchase. Shoppers could choose from a Crush float (a scoop of ice cream with Crush poured over the top) or the different flavors of Schweppes. Overall, the program was a hit, and the Elevate staff made sure that customers left smiling.